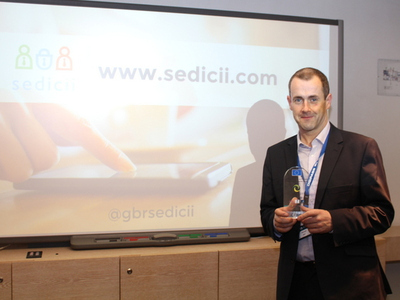 Irish cybersecurity company Sedicii has bagged a European Commission-backed security and privacy innovation award. Sedicii was one of six winners, thanks to its technology aimed at eliminating the need to transmit or store private information. With the growth in cybersecurity fears across the globe, greater numbers of software companies are looking at ways to add layers of protection to users on the internet. These particular awards are part of an EU-supported research project, named Innovation Framework for Privacy and Cyber Security Market Opportunities (IPACSO). The consortium behind the project – which includes Waterford Institute of Technology, the campus where Sedicii is based – comprises a range of industry, academic, R&D and policy-makers collaborating “to build a faster, more effective and efficient road-to-market landscape for cybersecurity entrepreneurs,” according to IPACSO. “The jury praised Sedicii for their attempt to monetise the challenge of privacy protection and endorses the idea of protecting the end user identity, end to end,” said IPACSO.